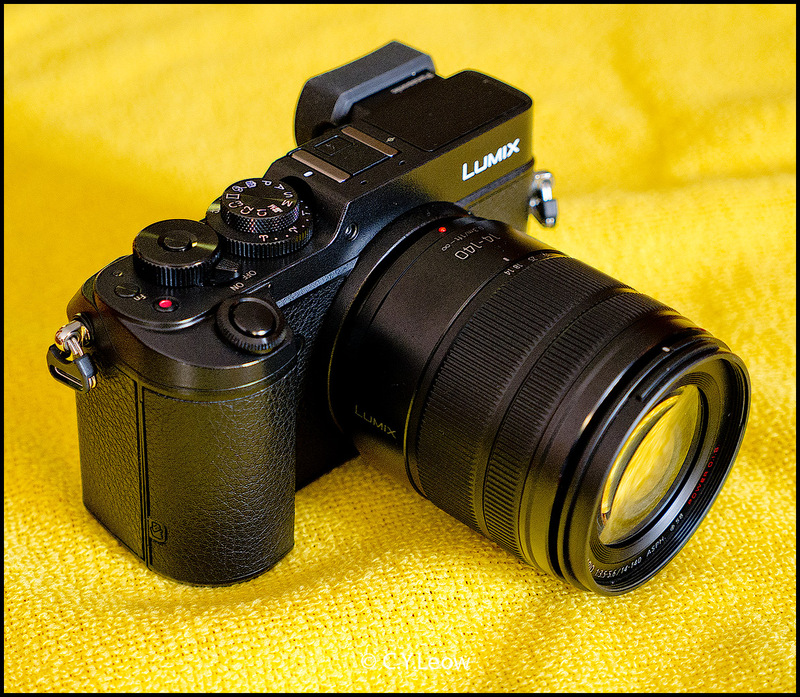 Panasonic raised many eye brows when they released their DMC-GX7 in 2013. The GX7 is compact, with nice retro design and stuff with all the latest M43 technology, lots of external controls and today, remain a reasonably priced, high end camera that you still can buy. 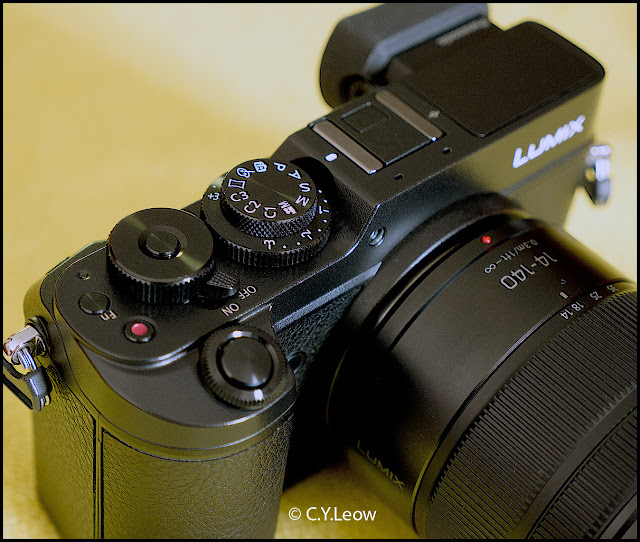 Then in mid July Panasonic launch their GX7 "Update" or "Refresh", the GX8; the camera got me excited, just look at the new features this LARGER camera include! 1. A NEW 20.3MP sensor. 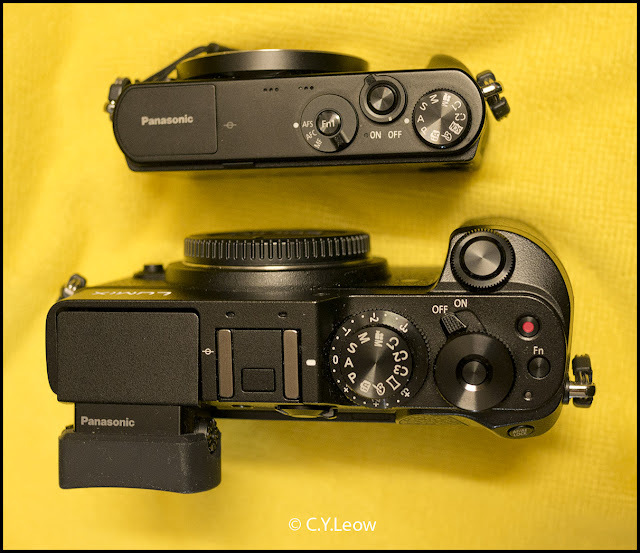 While all Panasonic M4/3 cameras to date have had the same resolution the sensor has varied a lot. The GX7, GM1, GM5, GF7 and G7 are all the same 16MP sensor but the GH4s is different and the G5 & G6 used the old GH2 sensor. I was told that the new 20.3 MP sensor deliver a 15% improvement in detail, the dynamic range, IQ and noise all claimed to improve. 2. 6-axis Dual I.S system. This is the first M4/3 camera that can utilise the 4-axis in body stabiliser TOGETHER with the 2-axis one from most Lumix lenses to give you a 6-axis system! The dual image stabilisation system is said to give comparable image stabilisation performance to Olympus' 5-axis image stabilisation system found in the Olympus OM-D E-M5 MarkII. The view in the finder is huge and the colour is so natural you would mistaken it as a reflex finder from a DSLR! The very large EVF has high resolution and looks extremely large and clear when in use. 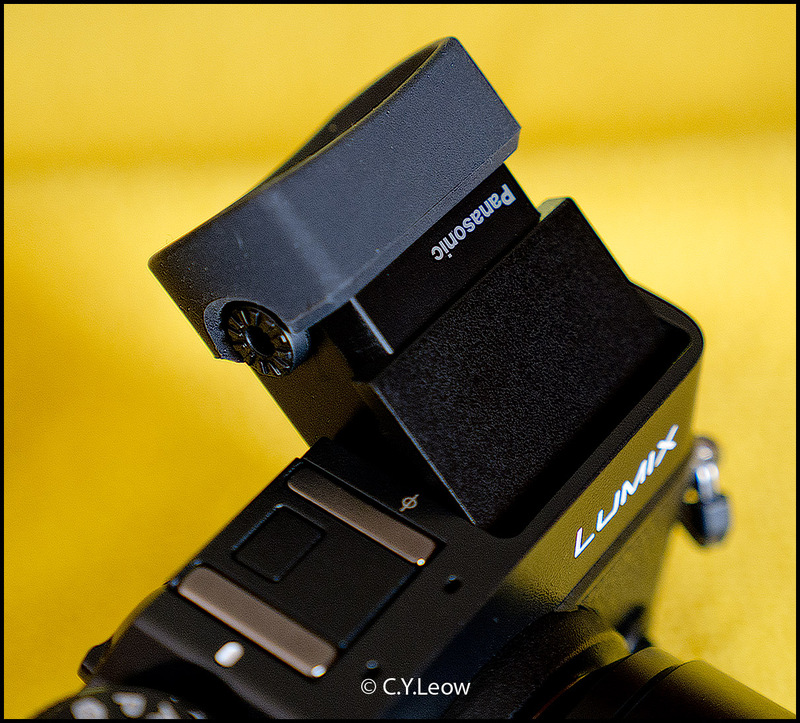 It has an eye detection sensor so that it will automatically switch on and off when held up to the eye, and the EVF is able to tilt upwards to 90 degrees. 4. A free-angle rotating 1,040k-dot OLED rear monitor touch screen. 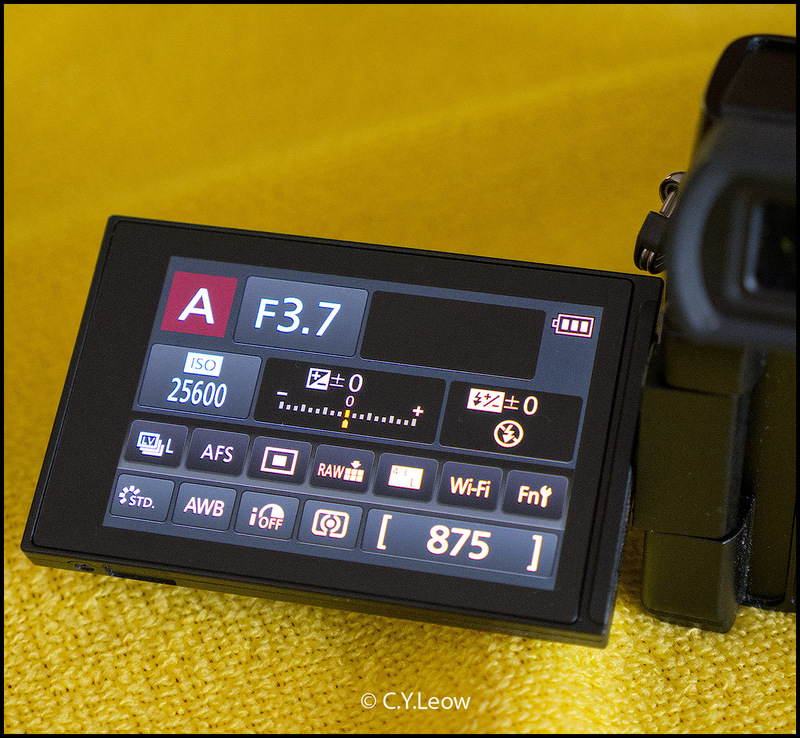 You can use the touch screen to set the focus position while the electronic viewfinder (EVF) is held up to your eye, although this can also mean that you can accidentally move the focus point with your nose! I am glad this feature can be switched off if necessary! 5. Magnesium alloy body now splash and dust proof. 6. Now with 4K photo and 4K video capabilities. There are three 4K Photo features, they are 4K Burst Shooting, 4K Burst (Start/Stop) and 4K Pre-burst. You can save 4K photos straight from the camera, without having to process the video files on your computer. A new exposure compensation dial has been added underneath the mode dial, a feature that I like very much. If you are a owner of the GX7, you will notice immediately that the new GX8 has grown BIGGER and THICKER! Most of my photographer friends initially think the GX8 is TOO BIG! 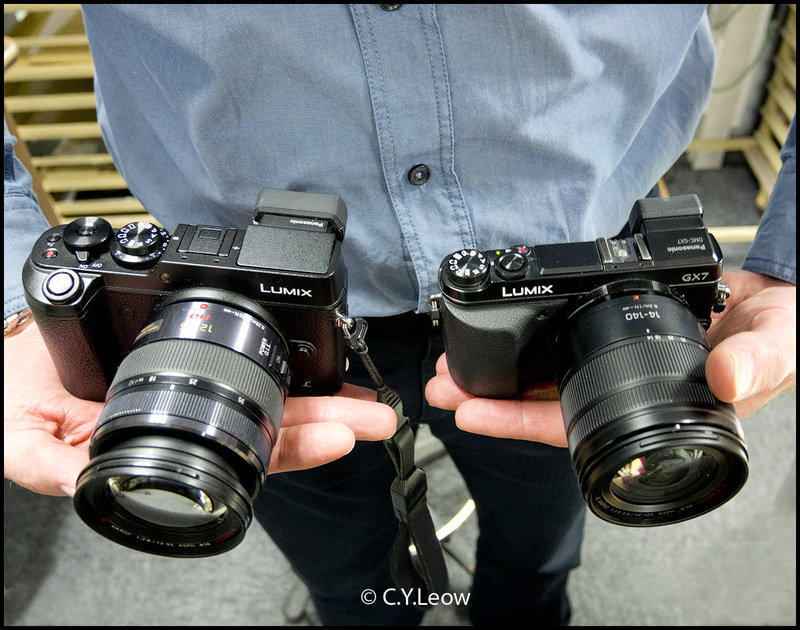 Take a look at the picture above, the GX7 is on the left and the GX8, right, is much thicker. 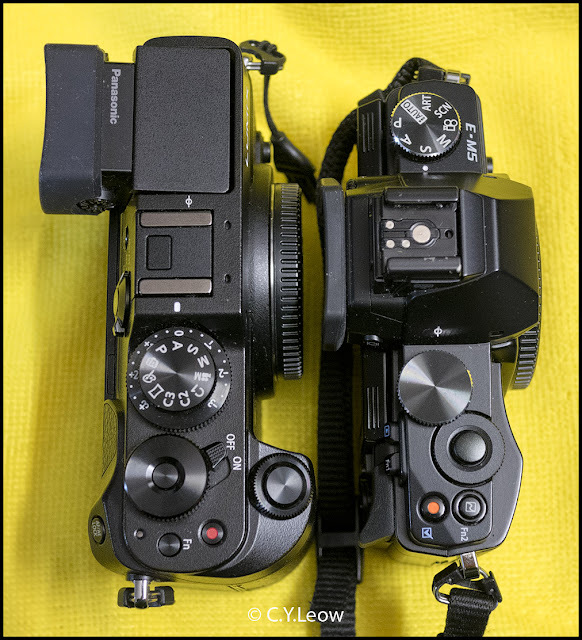 Notice the EVF of the GX8 is nearly double in size of the GX7. Which is NOT a bad thing, but by doing that, the new GX8 LOST the little build in flash! You do not get a little external flash either! 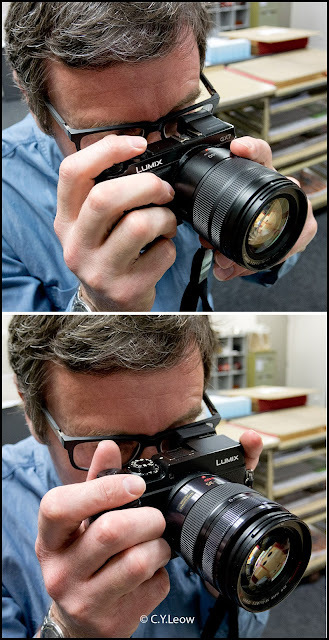 I took both the GX7 and GX8 to my office and got some opinion from my colleagues. Nigel, who bought a new Lumix LX100 recently was seen holding them in both hands, he actually like the heavier GX8.. a very solidly built body, he commented, he don't mind the weight increase. As for my other work colleague, Martyn, the GX8 is light compare to what he use! 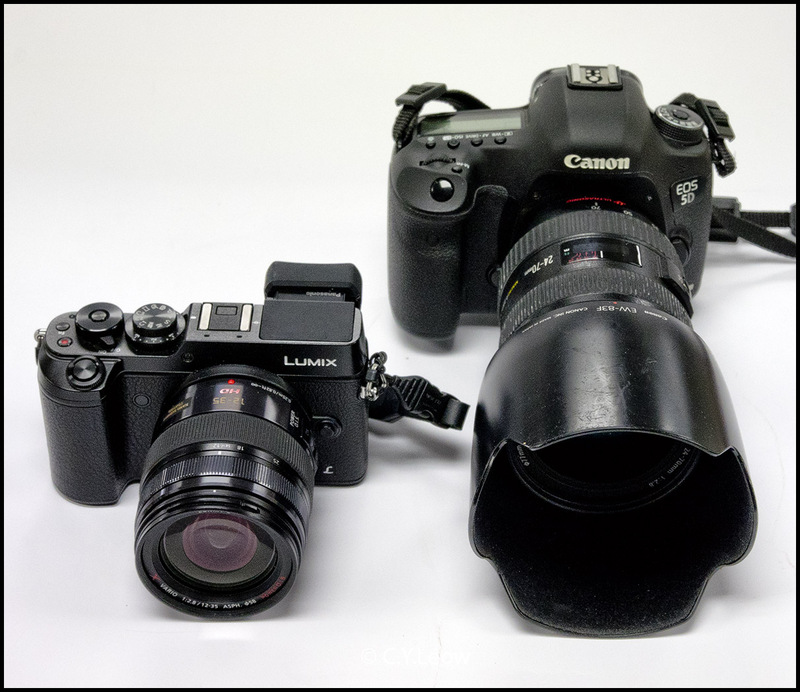 The GX8 beside Martyn's HUGE Canon EOS 5D, both cameras wore zoom lenses of 24-70 f2.8 range. 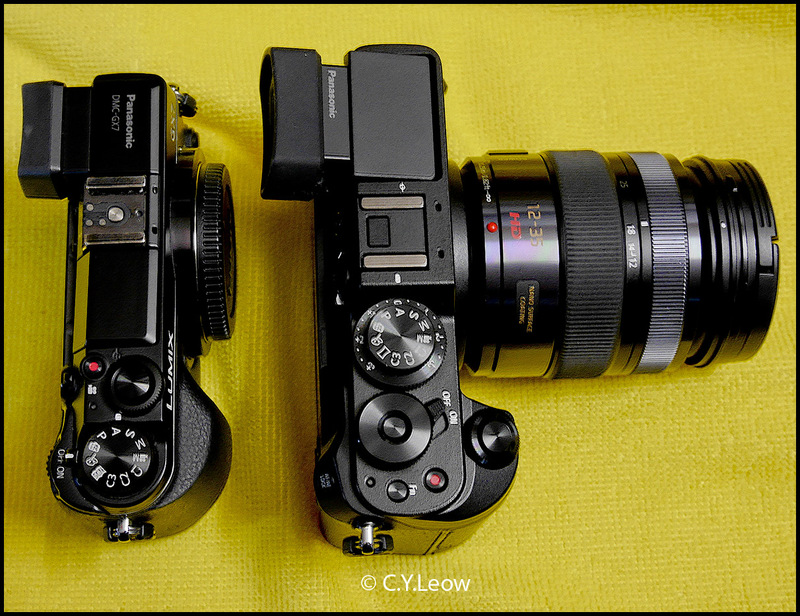 I was a bit surprise that the GX8 is slightly longer and thicker than my Olympus! Side by side with the GM1, only demonstrate how small the GM1 is! 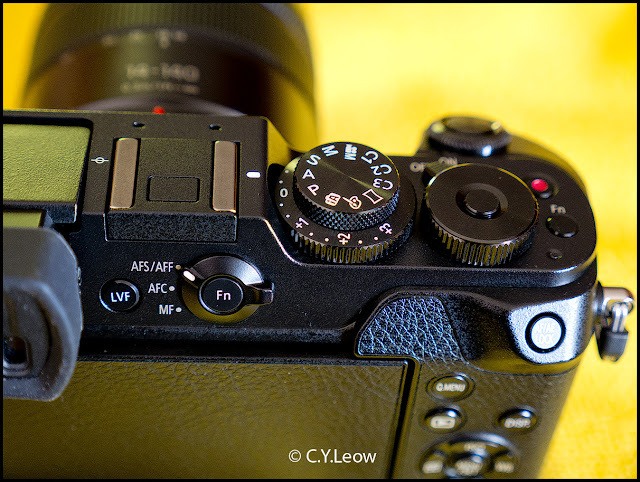 After using the GX8 for 2 weeks, and comparing to GX7, I actually like the much bigger and heavier body. First of all, the GX8 got a better grip and much improve lay out of dials that click solidly.. the main feature that make me want to buy this more expensive camera is the new and much larger EVF. The clarity and accurate colour rendition of this electronic view finder got to be seen to believe! Another strong selling point of this camera will be the first 6 axis stabiliser system by using TWO system (body and lens) in one go. In New Zealand the new GX8 are offered in two kits, NZD2,895.00 with a 12-35 f2.8 X lens and NZD2,548.00 with a 14-140 f3.5/5.6 zoom lens.